LAS VEGAS (INTELLIHUB) — A highly detailed 3D computer imaging model was recreated by an industry professional using 3D Studio Max, a computer graphics program used to make games, 3D images, and film effects. The graphic analysis, posted to the HDRCFX Cornwall YouTube channel on Friday, reveals that what authorities are calling the 32nd-floor crime scene photos that were purportedly captured in room 32-135 were actually taken on the 61st-floor of the Mandalay Bay, possibly on 1 Oct. The entire analysis can be seen in the following video. You may remember, Intellihub Founder and Director Shepard Ambellas broke a major story back in mid-January after the bombshell news was overlooked by investigative reporter Laura Loomer who obtained and published the original photo showing Stephen Paddock’s car and his VPS parking log. What the reporter failed to note was the fact that Paddock had checked into a room on the 61st-floor of the Mandalay Bay on 1 October. This is, in fact, the very same floor that matches up to the 3D computer model, as seen in the HDRCFX Cornwall video. 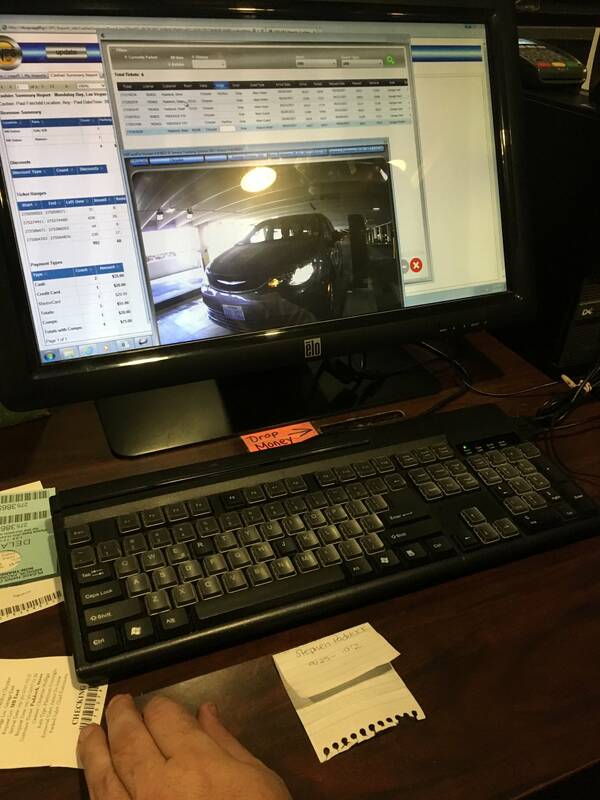 A leaked photograph of an MGM computer screen displaying the parking summary for the alleged gunman of the Oct. 1 massacre Stephen Paddock between the dates of Sept. 25th and Oct. 2nd reveals that Paddock parked his vehicle in the garage at 2:23 p.m. on Oct. 1, 2017, and was listed as a guest in room 61-104. The vehicle, a Chrysler Pacifica, arrived at “14:07” (2:07 p.m.) and was logged “parked” in garage “260” at “14:23” (2:23 p.m.) as indicated by the VPS record. You can zoom in on the VPS picture here. The room is located just nine floors above rooms 32-134 and 32-135 both of which were reportedly also rented by Paddock. Mandalay Bay is a 43 story luxury resort, however the top four floors are labeled 60, 61, 62, and 64, skipping 63, per the building’s layout. Floors 35-39 are owned and operated by the Four Seasons. A video showing of the elevator control panel inside the Delano Hotel verifies that the floors actually exist in the Delano as well. However room 61-104 does not exist in the Delano Hotel and is exclusive to the Mandalay Bay only, according to what three different MGM staffers told Intellihub over the phone early Wednesday morning. It is unknown why the Federal Bureau of Investigation and the Las Vegas Metropolitan Police Department are keeping this information secret from the public. Here is a video from shot from inside room 61-104 in which Paddock rented. Notice the view of the strip. (1:27:54) Fire Dispatch: We have a firefighter’s wife at this event who is pinned down behind the bar at Mandalay Bay. We are trying to get further on the name. (1:28:31) Batallion 6 Command: Okay, I copy that dispatch […]. (1:28:34) Fire Dispatch: Copy that. Thank you. (1:28:50) Batallion 6 Command: Can you confirm that last one, please? (1:29:15) Fire Dispatch: The only information I have is it’s the bar on top of the Mandalay Bay. (1:29:23) Battalion 6 Command: Copy. Can you confirm that there is a shooter up there? Do you have him pinned down or he just sheltering right now? Moments later Fire Dispatch could be heard saying that she was trying to reach the woman via her cell phone but was having trouble. Were “terrorists” roaming the hotel? As it turns out, author and entrepreneur Grant Cardone had been holding an investors meeting which started at 7 pm inside Mandalay Bay’s Foundation Room. Miraculously, Cardone left the Foundation Room just 7-minutes before the first volley of gunfire started from the 32nd-floor when he and a group of his friends went down to the casino floor for some action. A dozen of us made our way to the casino passing right past the shooter’s floor on 32, while he was setting up to shoot down on the three thousand at the music festival just 1400 yards across the street. It took us 12 minutes to get down to the poker room and by the time Kevin Harrington wins the first hand with Ace high against my camera guy, “Johnny the Camera Guy,” it was 10:08 pm the time the shooting was first reported. Almost immediately, I noticed a change in the casino and amongst the staff and players. There was a new energy in the hotel, random noises and a light panic moving through the hotel. I opened my Twitter feed to see if anything was happening, only to find out there was an active shooter supposedly at the Route 91 Country concert/festival across the street from Mandalay Bay. About this time, there was starting to be a lot more activity through the casino and now the reports suggested there was active multiple terrorists moving through the hotel shooting guest. Then twitter started showing up with feeds suggesting multiple hotels being attacked, bomb threats, and more. If you have any information pertaining to this matter please contact shepard@intellihub.com ASAP.